Get an EMC Compliance Approvals Quote! Compliance is legislated by law and mandated in many countries. Suppliers of applicable products should be able to demonstrate compliance with the local regulations outlined by the regional regulatory authorities. Consumer products by regions including Australia (RCM), Europe (CE), USA (FCC) and Canada (ISED). General automotive standards for aftermarket and OEM products intended for the Automotive environment. Wireless and radio performance certification for RF transmitters, transceivers and receivers. Medical for hospitals or home health as required by the CE European directives and the FDA for the the US market. EN 50121-x testing for locomotive systems and components. Includes rolling stock, signalling & telecommunications apparatus. Regulators may request a supplier to show this documentation. Testing is not mandatory, but a technical rationale for not testing can be difficult. Generally, testing is the most straightforward and practical way to show compliance. You should comply with the applicable standard or EMC directives for the region of intended sale or distribution. Most electrical equipment & electronic devices require some type of compliance. ‘Electromagnetic Compatibility’ abbreviated to ‘EMC’, allows the correct product operation when in an electromagnetic environment. An electromagnetic environment can be both natural or generated from other products, furthermore to avoid any interference effects. In essence, to allows products to operate harmoniously with each other. You may have also heard the term electromagnetic interference or EMI, it relates to same science but is slightly different, read more about what is the difference between EMC and EMI? The compatibility aspect comprises of two main parts, ‘Emissions’ and ‘Immunity or susceptibility’. Some countries mandate compliance to only emissions portion including Australia under the Regulatory Compliance Mark (RCM) scheme. The United States, FCC testing and Canada, Innovation, Science and Economic Development (ISED). The European community for the CE mark need both emissions and immunity compliance. How do you get your product compliant? EMC requirements vary for different regions, intended usage and for the type electrical and electronic products. Consider the markets or compliance regions that you wish to distribute your product. Ensure that you have the technical information for the product. Contact a credible preferably accredited laboratory and determine the applicable EMC standard listed for the region. Get a quote and verify the scope of the approvals to ensure they are adequate. Prepare the product for the laboratory with the correct support equipment, cables and modes of operation. Undertake the approvals process and verify the contents of the EMC compliance test report upon completion. Ensure that all other required product compliance is satisfied. How much does product compliance cost? Costs can vary for any given product and required markets. If the product is complex and has many cables, modes of operation and so on, it may be more expensive. Whilst a simple battery powered product with a single mode of operation may be cheaper. Your product may also need other product regulatory compliance evidence. This may include wireless radio testing or safety testing and so on. It also may include EMC approvals for medical devices for regions such as the USA, under the FDA guidelines. A production quality sample of the product is ideal for approvals process. Compliance testing can be undertaken using prototype products. But the production models must be electrically and electronically identical. As mentioned previously there are can be two sides of Electromagnetic Compatibility for a product. Firstly, the EMI emissions and secondly the EMC immunity testing. Both groups of need specialised equipment and facilities. There are strict requirements in the referenced standards that characterise these requirements. Product approvals in accordance with product standard require the test facility to have the correct equipment and the test facility must be suitable and fit for purpose. This includes the traceability and appropriate calibration of equipment used. This helps ensure the accuracy of the measurements. Let’s not forget after the conclusion of the EMC approvals process i.e. the compliance report should shortly follow. This also requires the inclusion of critical data, calculations and information. Finally the declaration of conformity (DoC) should be completed by the authorised company representative listing the technical standards that were used. Why use EMC Bayswater for your compliance approvals and certification? EMC Bayswater is a electrical equipment & product compliance specialist, specialising in EMI and EMC approvals and certification. We provide a wide range of accredited testing and compliance services at our Melbourne EMC testing laboratory facility. We use modern test equipment and commercially sourced compliant software. Our staff regularly attend training seminars and have years of experience. 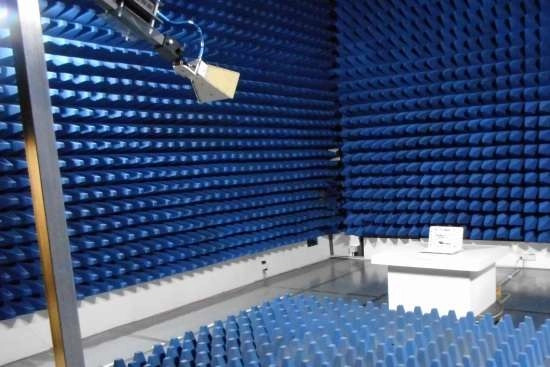 Ready to assist in any electromagnetic compatibility engineering to achieve regulatory compliance. Emissions testing can include various techniques to measure different forms of energy and the means by which they propagate. Compliance could include radiated emissions and conducted emissions on power lines (AC or DC) or wired ports including Ethernet ports. AC harmonic current and voltage changes (flicker) may be required for CE mark. Immunity testing is real-world phenomenon simulated using defined simulated techniques. Undertaken to ensure correct operation of a product within a specified tolerance. Compliance could include Electrostatic discharge, electrical fast transients, AC mains of signal line surges, voltage dips, radiated RF immunity, Magnetic immunity, conducted RF field testing and also automotive transients. Get in touch, and get your product compliant!